While there are many music streaming services to choose from, there are those who want to have the opportunity to listen to the "old" radio stations. 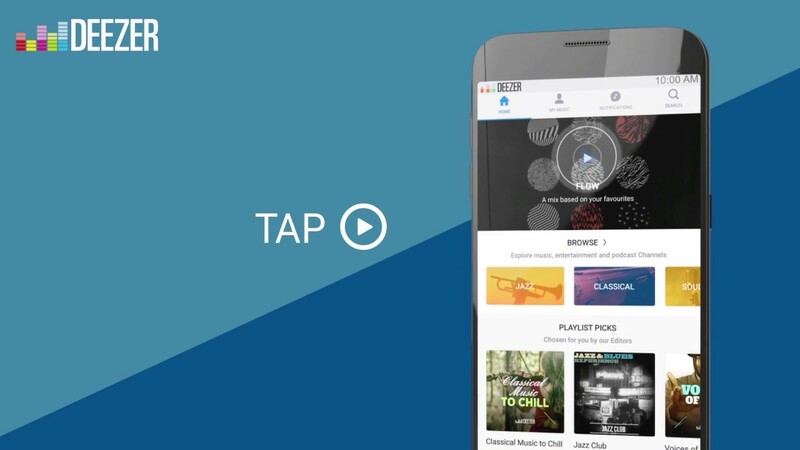 Deezer is one of those apps, but now it also wants to offer this option to its user base. The company announced the release of its app for Android called Radio by Deezer . At the moment, the app is limited only to those in the United Kingdom. This new app is quite simple. Users will be able to access more than 30,000 popular radio stations from the app and will not even be required to register or log in to stream any station. Obviously, if you want to take advantage of the other features, it would help if the user already had a Deezer account. For example, if you come across a song you like, you can save it in your favorite song library. And with your main Deezer app and account, you'll be able to listen to these tracks whenever you want. If you come across a song on the radio that you do not know, you will also be able to find out the name of the song directly from the radio app. Radio by Deezer has three main tabs: " Explore ", " My Stations " and " My Music ". The first is, of course, the place where the user will be able to browse and search all the thousands of available radio stations. The second section is where all the stations most recently played are shown. And in "My music", you can find your favorite tracks. In addition to music, users will be able to listen to talk about radio and sports. But for now, only those in the UK will be able to download and access the Radio via the Deezer app. If you live there, you can download it from the Google Play Store .